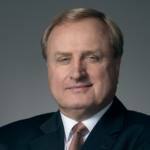 The Honourable Sergio Marchi was appointed President and CEO of the Canadian Electricity Association (CEA) in February 2015. Mr. Marchi was elected a Toronto City Councillor in 1982, and as a Member of Parliament in 1984. During his time in the federal government, he served as Cabinet Minister in three key portfolios: International Trade; Environment; and Citizenship and Immigration. He was appointed Canadian Ambassador to the World Trade Organization (WTO) and the United Nations (UN) Agencies in Geneva, where he served for five years. In 2003, he became Commissioner on the UN Global Commission on International Migration, a position he held until 2005. The Canadian Electricity Association (CEA) was founded in 1891 as the national forum and voice of the evolving electricity business in Canada. The Association contributes to the regional, national, and international success of its members and corporate partners ecosystem. 1- Competitiveness, innovation and infrastructure development are three areas of the Canadian power industry that we must work and improve on. 2- In order to resolve disputes on infrastructure projects, provincial autonomy has to be reconciled with national environmental targets. 3- The USA’s protectionist measures are incentivizing Canada to diversify its energy exports. Canada needs to develop and implement a clear national energy and national electrification strategy to provide a sense of direction and timing for meeting our targets. If you had the opportunity to advise the Canadian government on energy, which issues and opportunities would you prioritize? The first priority would be to get the national energy strategy over the goal line. I am disappointed that there has not been more progress because we now have a federal government that is willing to be part of a national energy strategy. Secondly, we must be competitive. We must have a regulatory regime that is efficient and allows our energy companies to do well. Currently, we have a cumulative regulatory structure that is becoming a dangerously heavy burden. More importantly, at each level of government, there is little accountability and transparency. Every government is only concerned with its own regulations, but our industry has to pay at all of those levels, which we pass on to the consumer. This issue of competitiveness is key. Thirdly, our ability to meet our climate targets is going to be a function of innovation. So, we would need to not only invest in innovation but also create a culture of innovation in our country. Recently, we launched the Canadian Electricity Centre of Excellence, which aims to show that we are companies that are innovating and investing $20 billion to upgrade our infrastructure every single year. While the federal government encourages us to innovate more, regulators routinely turn down our innovation pilots at rate hearings. We need to nurture and support a deep-set culture of innovation. Another priority is to get back to our nation-building ways in this country. It is tough to get projects through the assessment process and even if you do, sometimes they get stuck anyway. We can talk until the cows come home, but if we do not build, we are letting down future generations and not keeping up with our obligations. Lastly, it is important to earn and sustain public confidence. In other words, public support for resource development and the strategic use of our energy is crucial. These resources are fulfilling domestic and international energy needs, thus creating the kind of wealth that Canadians expect from their governments and their economy. How should Canada finance the upgrade of its energy infrastructure? The utilities will pay for their infrastructure upgrade and will ultimately factor it into their rates. Since electricity rates are an important issue in our current political climate, provincial governments are instructing their regulators to keep costs down. This makes infrastructure upgrades very risky for utilities, because every single cent must be approved by the regulator. It is getting more difficult to get approval from regulators because they are pushing this cost factor. While I understand the need to be frugal and pay attention to costs, we should not be passing on a substandard electricity system to the next generation. We must build the best and the strongest infrastructure because we have to factor in the value of electricity in our lives and in our national economy not just for today – but for future generations as well. Secondly, an investment of $350 billion over two decades – or $20 billion per year – will replace our aging infrastructure but will not pay for us to meet our new ambitious carbon reduction targets. We are 82% GHG free today and the government wants us to go to 90%. Funding for meeting that target has to come above and beyond the $20 billion per year, and must largely come from government. Lastly, our members are beginning to question whether provincial governments are going to agree to the kind of transformative electricity projects that we will need in order to meet our targets. The current model of infrastructure development essentially requires provinces to send the federal government a list of priorities to receive their share of federal funds. That process works if our projects are going to be on those provincial lists but what happens when they are not? The federal and provincial governments need to find a way to reconcile provincial autonomy and federal targets. How do you think the supply chain of electricity generation and distribution will change in the future, especially with the emergence of distributed energy resources? We are going through accelerating change and disruption. In the power sector, the disruption is through renewables like solar and wind, which we refer to as distributed energy. If someone installs a solar panel on top of his roof and disconnects from the grid, he obviously has an impact on the grid and the remaining customers. But, he might want to return to the grid when it is not sunny or windy. We need to charge people for reconnecting to the grid, because constant disconnection and reconnection causes freight fluctuations for the rest of the customers. Although things are changing quickly, solar and wind’s national generation capacity remains 2% or 3%. So the traditional grid is still distributing 97% of our electricity; that is not going to change overnight. Moreover, the intermittence of solar and wind make them unreliable for powering the national economy. So, customers’ relationship with the grid will change but I am confident that the grid – in different aspects – will remain. How do you see increased electrification in Canada taking place? First of all, we cannot just talk about electrification, we must develop a national strategy for electrification. The 2019 budget should fund the development of an electrification strategy by NRCan; a strategy that defines what electrification is going to look like, what it is going to be built upon and what the timelines will be. The electrification strategy should tackle three areas to begin with. The first one is transport because it constitutes 25% of our carbon footprint. Secondly, heating and cooling processes in buildings are also major contributors to GHG emissions in the Canadian context. The third milestone would be the electrification of Canada’s industrial and manufacturing processes. We need to stop talking about electrification and begin to do electrification. It should be mandated from a national perspective so that we have national coherence on targets that align with the Paris Accord. In terms of the prognosis for electric vehicles, no one has a crystal ball. A lot of our kids jump on subways or Uber regularly, so many of them might not even need a car as much as my generation did. However, their clear preference for clean and green alternatives will ensure a large market for EVs once they become relatively affordable. We should be prepared for an extreme escalation of demand because even if it takes longer than anticipated, we will be ahead of the curve in terms of infrastructure development. How would you assess Canada’s current trade strategy and what impact will it have on Canada’s energy sector? Ministers of trade and governments have always talked about market diversification, and it did not work out for many years because it was difficult to push industry against a law of nature. Canada shares not only a border, but also a language and culture with the USA. So, a Canadian industry looking to export will first and foremost dip its toe in American waters. When companies do and when they make a good return, it is doubly difficult to convince them to spend more time and money to enter other markets. However, the wall of international trade has collapsed tremendously. Canada is still too small to create economic wealth solely through its domestic market, so it has to go beyond its borders to create that wealth. That comes naturally because a good percentage of our citizens are international. But Canada has also negotiated free trade arrangements with Europe, Korea, Israel and Chile, and is currently considering China. In other words, Canada’s market diversification strategy has been much more aggressive in the last 20 years or so because of globalization and liberalization. Protectionists such as Donald Trump will come and go but the USA will still remain a great ally, friend and commercial partner to Canada. However, Trump reinforces Canada’s need to be strategically diversified. The USA is awash with oil and gas and our pipelines only carry oil to the USA. So, we should have a pipeline to the West Coast or the East Coast through which we can satisfy the need and appetite of China or India. The bottom line is that we need to ensure the safety, reliability and affordability of energy – including the electricity system, as it comes under pressure from increasing cyber security hacks, extreme weather events, and the pace of technological change. Facing this unprecedented storm of threats, no company – or country for that matter – should go it alone. Instead, we should strive to work through these challenges together and coherently, as a unified North American region. I believe such a strategy can potentially provide our businesses, on both sides of the border, with some of the most economical energy inputs in the world – rendering them more competitive in the face of global competition. CEA’s vision would be to move from a North American free trade ‘area’, to a North American ‘community’; a community increasingly built on common values and shared aspirations.